Apple will be releasing iPhone 3.0 software today June 17th 2009. The update will work on all iPhone and iPod touch models. Go to Settings, choose General, scroll down to International, choose Keyboards, set Arabic to ON. Click International on the top right corner to go back. To set the regional formats (mainly changes the clock to Hindi numbers): Choose Regional Format, select Arabic then Saudi Arabia. Click International to go back. And to set the interface of the iPhone to Arabic just select Language and choose “Ø¹Ø±Ø¨ÙŠ” (Arabic). Click Done and the iPhone will restart into Arabic language interface. Now you can finally Copy and Paste on the iPhone. By holding a finger over text then selecting the area you can copy text as well as images. Press and hold again to paste. You can copy an image from your photo library and add it as an attachment to an email message. With the new Spotlight search you can search your contacts, emails, applications and more. You can also search your email server directly (works with IMAP). Applications that support push notifications will be able to send messages to you even when you are not running the application. You can easily disable that by disabling Notifications in the iPhone Settings. MobileMe members will have access to “Find my iPhone”. 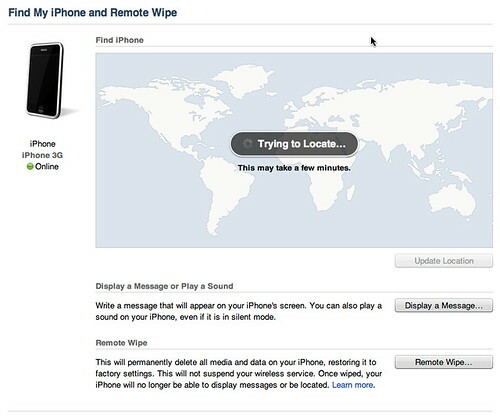 Using push technology to locate your missing iPhone, activate an alert and remote wipe your data. Other features in 3.0 include more APIs for developers, Internet tethering, MMS support, landscape keyboard on all applications, autofill forms in Mobile Safari, improved Mobile Safari, voice memos, in app purchases, stereo bluetooth, sync notes, improved YouTube application and parental controls. 1. Make sure all of your applications are up to date. 2. Backup your device. Right click on it’s icon in iTunes and choose Backup. 3. Click Check for Update in iTunes to download and install the update. Most iPhone users should update to 3.0 software. iPod touch users still need to pay $10 for the update. If you have a jailbroken iPhone/iPod touch then the answer is that you need to wait before upgrading. Follow the mentioned instructions & MMS will be available on your iPhone. You will find it very useful, thats how I configured my MMS settings. Please notice that the configuration file differs if you were a Mobily user or STC user. I had a similar problem, thanks for the link Maha! Just would like to ask if the new iphone 3G S is officially unlocked in Saudi Arabia and if it’s not would that be possible to unlocked? and how ?? the iPhone 3G is sold unlocked iin Saudi Arabia by Mobily. It seems to me itâ€™s not going to be unlocked according to Mobily as I have checked that by calling 1100. Khalid, thanks anyway for your response. We look forward to having the iPhone 3GS unlocked here in Saudi Arabia. No offense to Mobily, but 1100 told me to jailbreak the iPhone to enable “modem” .. they didn’t even know what tethering is. on another call they told me to google the solution. a commenter here told us that 1100 told him to buy an iPhone app from the app store that enables tethering. I only trust Apple.com to tell the actual info.